Aramitha Netseranayit, or “Netseran Aramaic” is the living language used in the Holy Offering and other services of the Nazarani Church. It is a dialect of Aramaic, which is very closely related to and indeed a descendant of Galilean Aramaic (the language of Christ and His apostles). 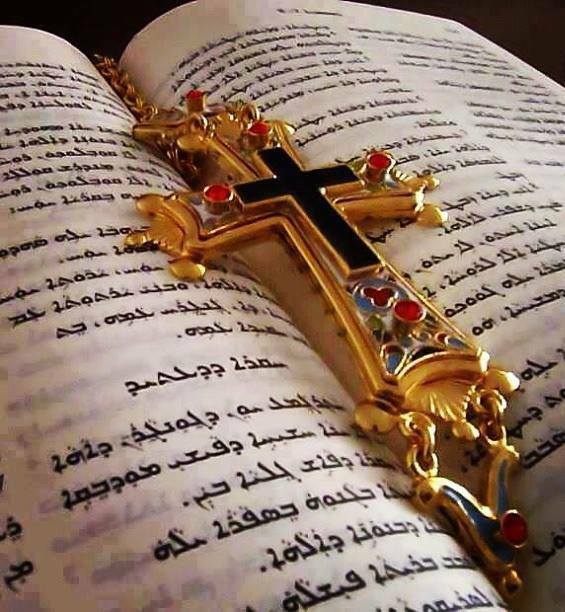 However; it, like any living language, has evolved over the centuries in the course of Liturgical use, and many words that were unknown in the time of Christ were added by the early Church fathers and others to express new ideas etc. as time went by, such as the idea of the Holy Trinity, the Anaphora and so on. This was done by taking existing words and combining them such as Tla-Qnumeh for the Trinity. Tla from ‘Tlata’, meaning ‘three’ and qnumeh meaning ‘substance’ or in vulgar terms, ‘nature’. Thus, two Aramaic words came to be combined into one new word. In Christ’s day, these words would have been understood, but the concept behind their combination would have baffled. This is an example to show essentially what separates the Netseran from the Galilean dialect. It is impossible to speak Galilean to-day, because the language does not include words for the majority of the things in our day-to-day lives and experiences; thus the purpose of the Netser Language Institute is to train a whole generation of fluent speakers of Aramitha Netseranayit, as inheritors of the language of Christ, and by extension of the common Aramaic heritage which all Christians share with one another.